This costume includes pants, shirt with attached molded chestpiece, belt, cape, gloves, headpiece, and boot tops. Does not include shoes. 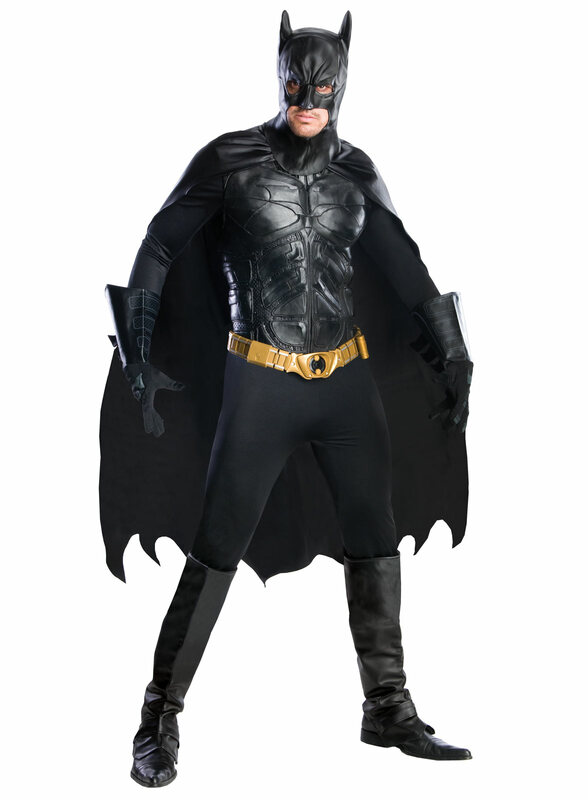 This is an officially licensed The Dark Knight Rises costume.